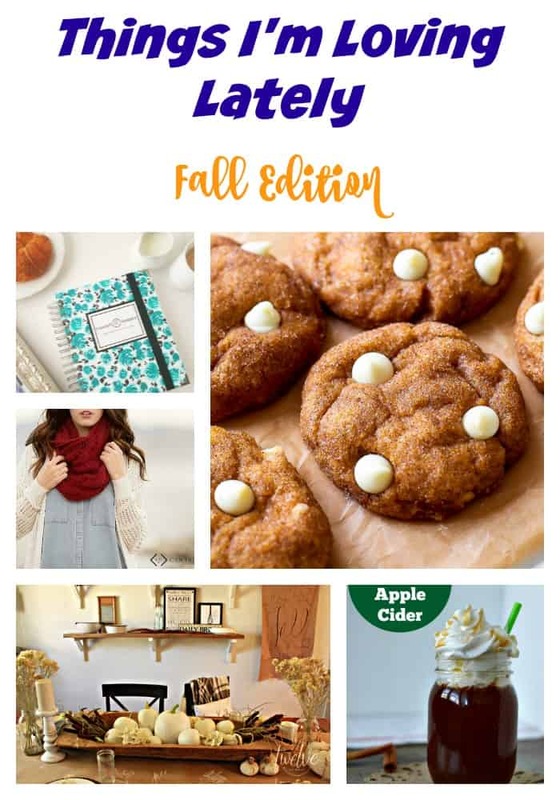 Have a look at all the things I’m loving this fall! One Creative Mommy – I had the chance to meet Heidi back in February at Build Your Blog Conference and she really is the sweetest person I know. She is also very creative. 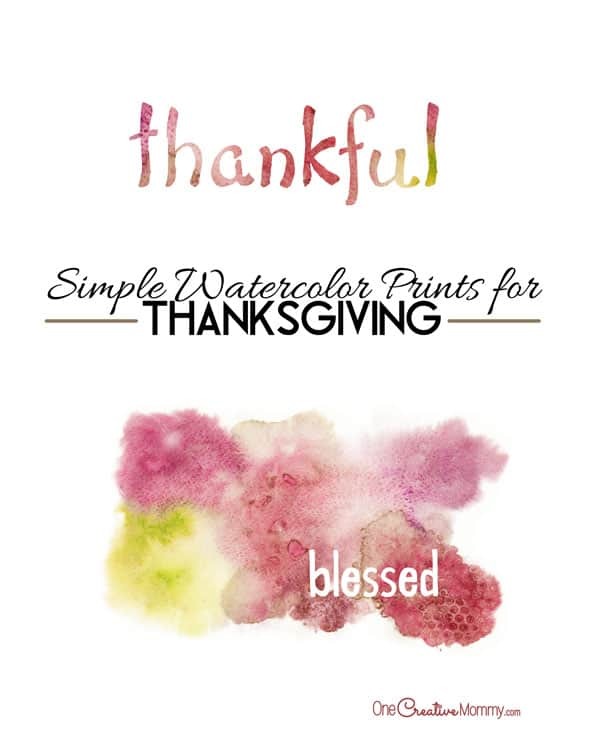 Heidi shares a ton of super great crafts for every occasion and I have already printed her Watercolor Thanksgiving Art to hang up after Halloween. Need some ideas for easy crafts to do with kids? Definitely visit One Creative Mommy. Twelve On Main– I just recently started following Sara and she creates a ton of great DIY and home design projects. 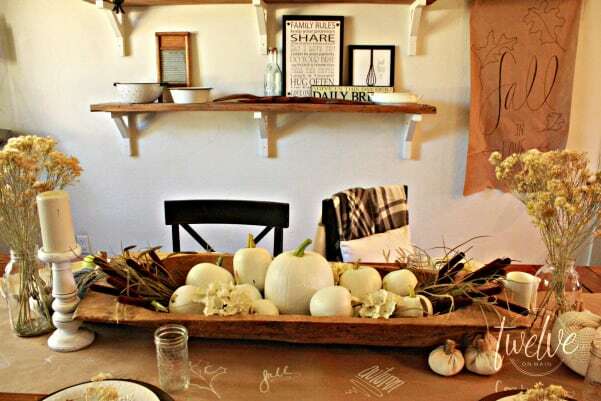 Everything from her Family Friendly Fall Tablescape to her Spooky Pallet Graveyard gives me so much home inspiration. If you’re looking for some new ideas in the decorating department definitely check out her site. Old House To New Home – Amanda here is one talented girl! Not only is she remodeling her 100 year old home but she is also an amazing cook! I’m swooning over her Gluten Free Pumpkin Chocolate Chip Bread and her $100 Guest Bedroom Makeover has me wanting to book a vacation just to go spend some time in this room. 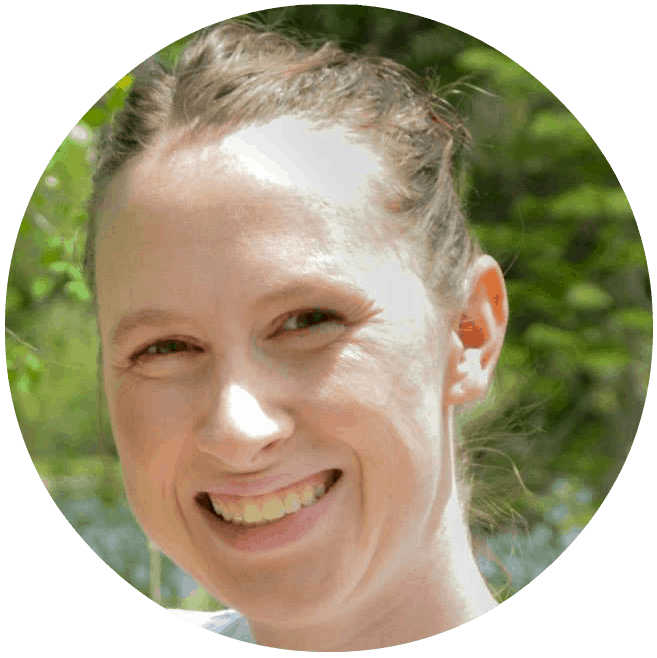 Amanda also shares crafts, organization tips and DIY projects too! Denizen Boot Cut Jeans– I bought my first pair of these in August from Target and I LOVE them! They are super stretchy but still very flattering. I don’t like spending a ton of money on clothes with two active toddlers because I know they are going to get dirty (their clothes and mine). But these Levis are only $27.99 and right now they are buy one get one 50% off. I own two pair and will probably go buy 2 more this weekend! 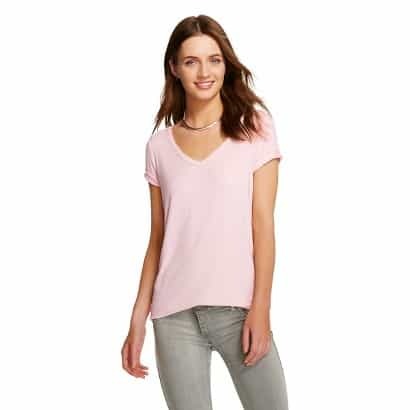 My Favorite V Neck Tee – Here’s another Target favorite of mine. These tees are super soft and look cute with just about any outfit! I think I own at least 8 of them. You can pick them up for $9 normally but they are on sale right now 2/$16. 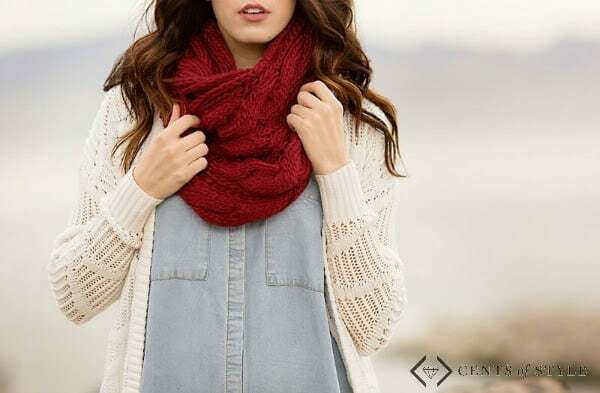 Mandy Infinity Scarf – I love wearing scarves and fall is the perfect time for them! This one in particular is so soft and keeps me plenty warm while playing with my boys at the playground. It is part of this week’s Fashion Friday over at Cents of Style. All scarves are half off and you can get FREE shipping using code: COZYSCARF. The Mandy is on sale for $8.95. 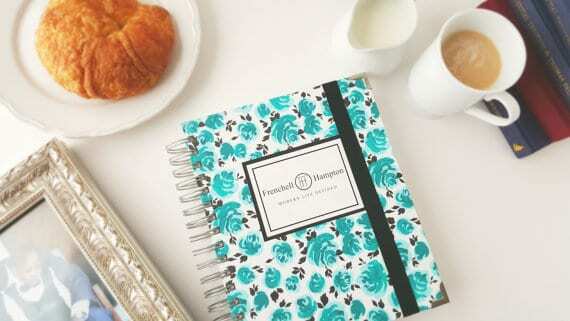 Frenchell Hampton Planners – Oh my goodness! This is by far one of my favorite FAVORITE things this month. I mean look at this beauty! My good friend Frenchell recently released the first line in her planner series and they are gorgeous. Not only that but they are super functional too! From inspirational quotes, water monitoring system, meal planners and more; this planner has everything you need! Plus they are all made in America and 90% of the planner is handmade. Keep your eyes peeled for a full review coming up in a few weeks. They are $38 until October 31; after they will be $48. Designer Cookie Online Class – I just signed up for this class through Craftsy and can’t wait to make some gorgeous holiday cookies! It has 9 lessons that can be watched at your leisure and you can also communicate with the instructor. Craftsy offers dozens of classes in cooking, crafting, sewing, photography and more. I’ll be sharing some of the fun holiday cookies I made using techniques I learned in class later in November. This cookie decorating class is only $29.99 right now. 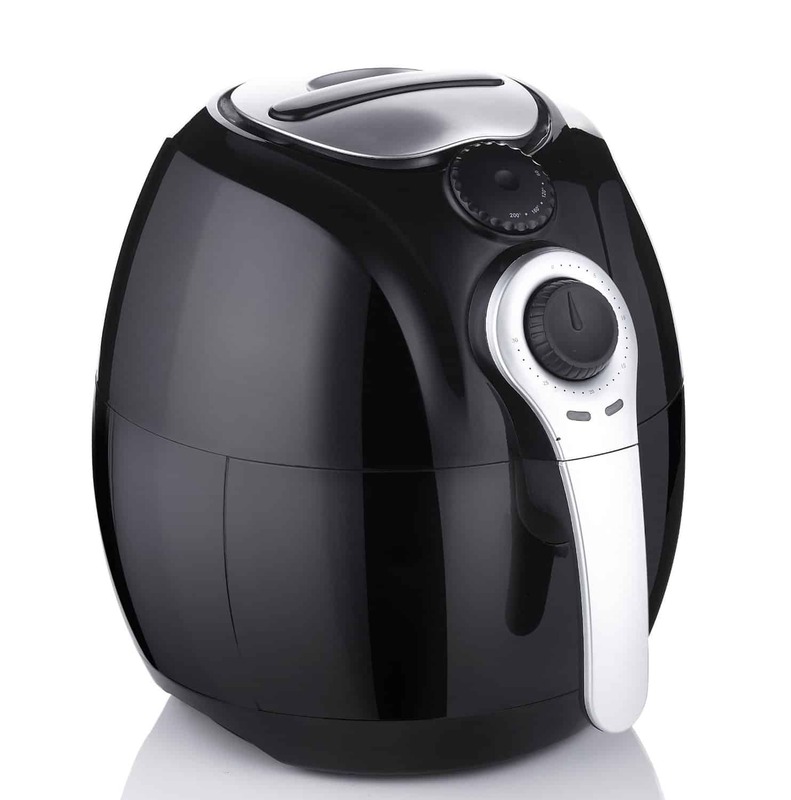 Avalon Bay Air Fryer – This beauty is a must have for any kitchen! It is like a deep fryer (and so much more) but uses recirculated air to cook instead of oil. You can cook, bake, reheat, pretty much anything you would do in an oven, microwave or deep fryer you can do here. I make my Boneless Buffalo Wings and Fried Pickles in ours at least a few times a month. 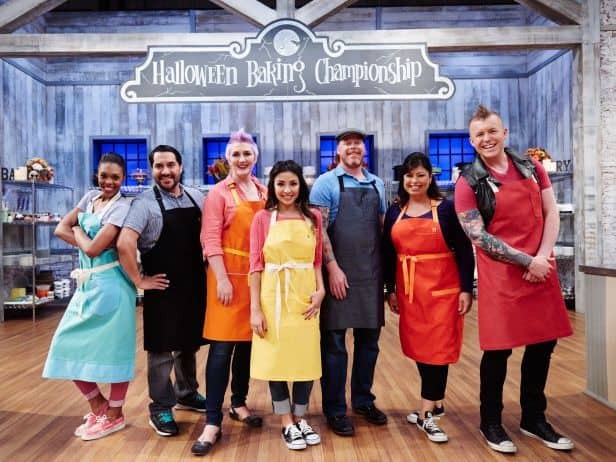 Halloween Baking Championship on Food Network Mondays at 9PM EST. These baking challenges are always one of my favorites but this year it’s even more exciting because my friend Ashlee from Ashlee Marie is competing and has made it to the finals! Tune in next week to see who is crowned the Spookiest Baker and is awarded $25,000! Blood & Oil on ABC Sundays at 8PM EST. I love this new drama with Chace Crawford. Maybe it’s because I love Chace Crawford but it’s got a really great storyline too. Chace plays Billy LeFever a hopeful new business owner who is new to a town run by the oil industry and oil tycoon Hap Briggs (Don Johnson). This is sure to be one of the hottest shows of the year I think. 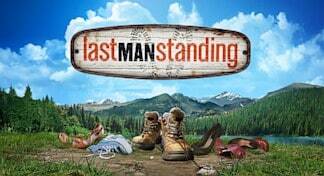 Last Man Standing on ABC Fridays at 7PM EST. This one is a family favorite. We love Tim Allen and really enjoy this show where he is trying to survive living in his home full of girls. Great way to start the weekend! 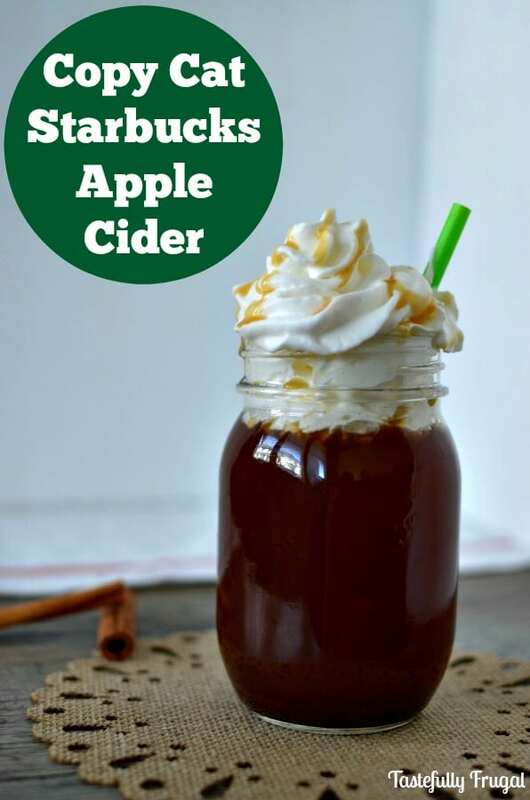 Copy Cat Starbucks Apple Cider – This has quickly become my new favorite cool weather drink. Sweet cinnamon sugar syrup mixed with tasty apple cider and topped with whipped cream; yes please! 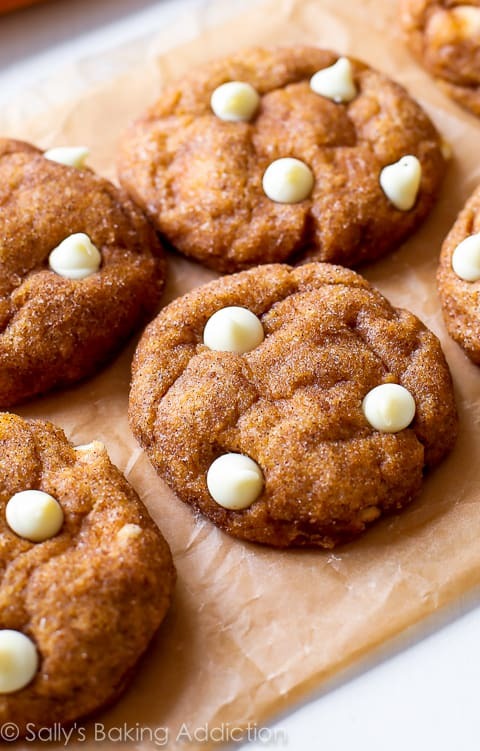 White Chocolate Pumpkin Snickerdoodles – Talk about all my favorite fall flavors rolled up into one cookie. 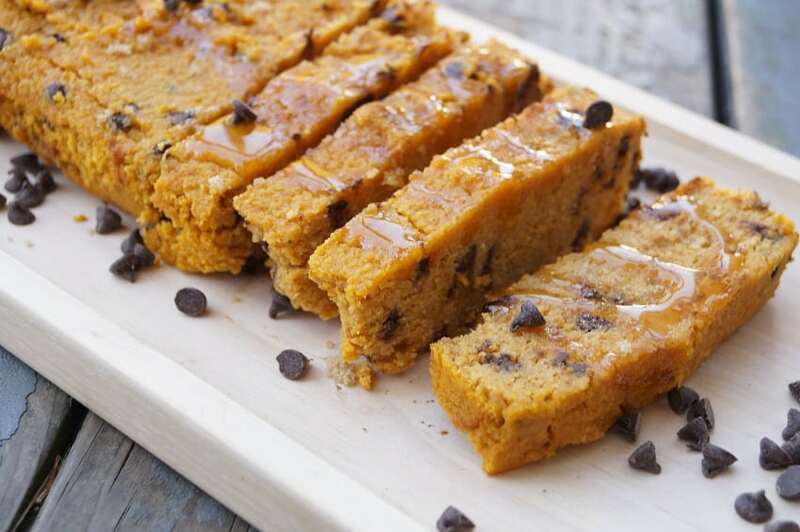 If you are only going to make one batch of cookies this fall… Make. This. Cookie. It is seriously the best cookie I have had in a long time! 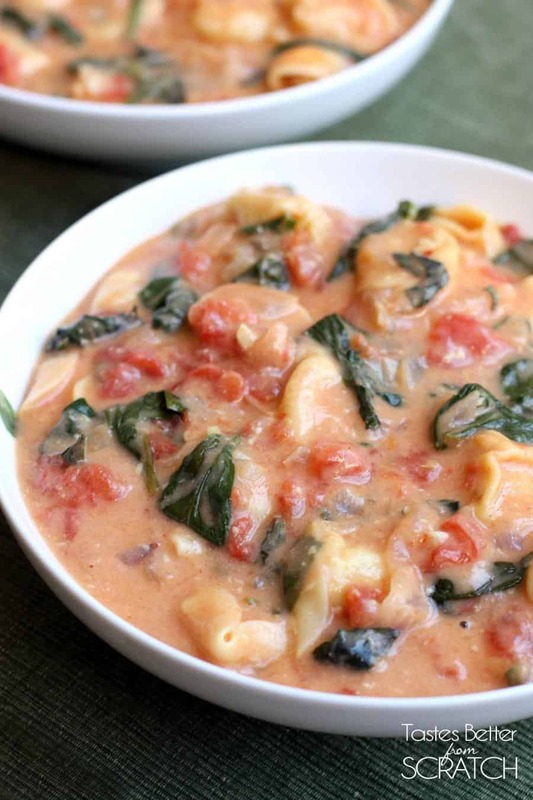 Creamy Tomato Spinach Tortellini Soup– This is our family’s favorite soup recipe. I love it, my boys love it, and it gets them to eat their veggies without them knowing it! And it only takes about 15 minutes to make! Perfect for those busy days where you totally space dinner (like me at least once a week). So there you have it. Now that you have had a chance to see what I’m loving these days what are some of your favorites? Also, check out what a few of my other blog buddies are loving these days too! Ok, now I’m hungry and want to go to Target! Ha! Love their v neck t-shirts. I think I own every color! Such a staple. Great round up of goodies! AH! Thank you so much for featuring me!! I am so excited! And thank you for joining in and sharing your favorites! 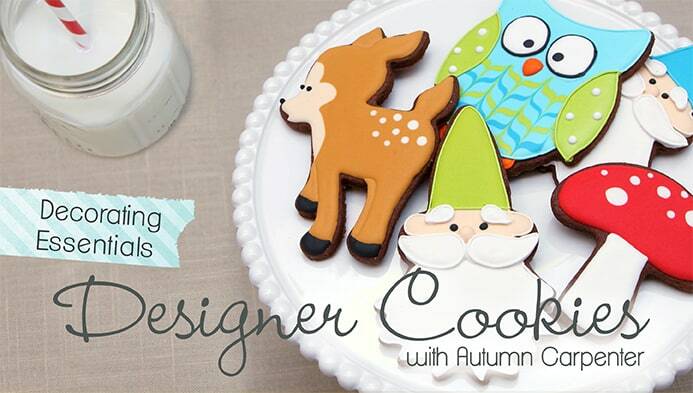 How fun to be taking a designer cookie class! That’s such a great idea! I’m seriously in love with the color of that scarf!!! WOW! 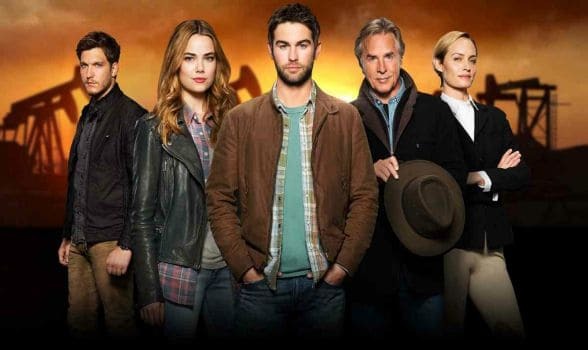 I’m also loving Blood and Oil! I really didn’t think I would get into it at first… but I really can’t get enough!!! Thanks for joining in with us on this fun favorites round up!!! xo! awwwww thanks so much for sharing the Halloween Baking Championship! it was such a cool experience and having the support of our amazing community has made it even more wonderful!